Greetings from the desk of me. 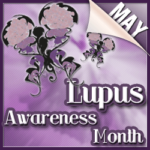 As part of Lupus Awareness month, I thought I would talk about my good friend Malar Rash. You may know her. Now some might say that guys don’t have to live with Malar Rash. I am here to tell you differently. What exactly is the Malar Rash? She is a like a sunburn in appearance. She rests her weary wings upon your cheeks and uses the bridge of your nose as a center point. When people look at you they will ask if you aren’t feeling well, or if you have received too much sun. Rest assured, the case can be either one, neither or both. If you are like me, you wish that the rash was a result of a too much outdoor activity without benefit of sunblock. Sadly this is rarely the case. Sure, our bodies are sensitive to sun exposure. 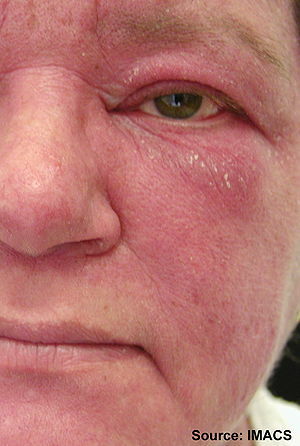 The rash can be warm to touch, and scaly at close appearance. It is usually an indicator of disease activity.